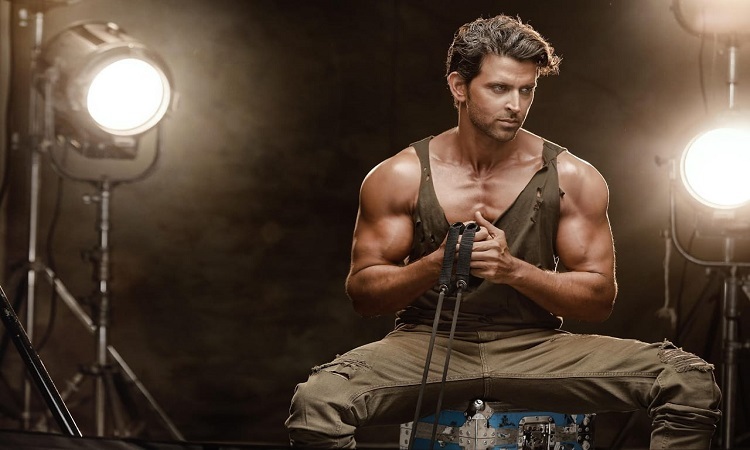 Hrithik Roshan's Back-To-Back Shooting Schedule! Hrithik Roshan who had taken a break from his shooting schedule and other commitments for a while have resumed shoot for his upcoming next alongside Tiger Shroff. Recently, Hrithik Roshan had shared the news of his father health and had taken a break for the same. The actor has finished the first extensive schedule of the movie with Tiger in Europe before returning to India. Now that Rakesh Ji is better, Hrithik has kickstarted the shooting for the second schedule of the movie. He's very particular about his work and even dad's health. And he's balancing and managing both. Hrithik is one of the very few actors to have debuted this millennium and struck chords with the audience. Resonating with the audience from across age groups, Hrithik not only has a huge fan following but also has time and again made a mark on the box office. In his upcoming next Hrithik is essaying a role of mathematician the man behind Bihar's Super 30 club, runs a coaching institute, especially dedicated to training children from backward sections of society in mathematics. The untitled film he has started shooting for will have oodles of action and dance. Hrithik Roshan's upcoming movie super 30 is slated to release on 26th July 2019 and the one with Tiger Shroff will release around year-end. Still wondering which art form to use in 'Baaghi 3': Tiger Shroff Kriti Sanon loved playing THIS in her childhood! Sajid Nadiadwala's milestone blockbuster Baaghi 2 turns one!